One of the advantages touted for Forex, and often by the brokers themselves, is that there are no commissions, a statement which can deceptively lead most newbie traders into thinking that the trading forex is virtually free of charge. For the most part, unless you are trading with an ECN (Electronic communication network) broker (which does charge a small commission in exchange for a tighter spread), there are no commissions. But this does not mean that you can conduct trades free of charge. There is no free lunch. Brokers have built in a more subtle transaction cost in the form of spreads, and if they are ECN Brokers, they also charge commission, as we shall see. A spread is the difference between the “ask” and the “bid” prices of a broker’s currency quote. 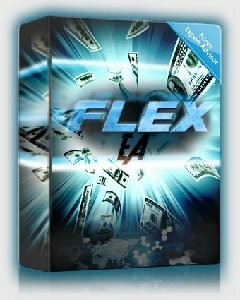 Spreads are normally collected by the broker as a fee for executing an order. Instead of commission, the spread becomes the broker’s fee for executing the trade. You see that most of the majors are between 1-3 pip spread, which is not much of a transaction fee (or handicap) to overcome. However, if you look down at the bottom of the above table, you will see that the EUR/AUD has a spread of 7 pips (1.4839 – 1.4832=0.0007), which makes this pair a much tougher pair to trade, for the instant the trade is executed, you would be down -7 pips. Generally, we want to trade pairs that have a spread lower than 5 unless there are solid mitigating reasons not to. 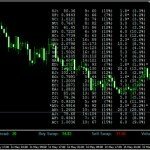 If you were to sign up with Introducing brokers who offer a rebate like http://www.CashBackForex.com, you would earn a percent of the spread back to your account for every trade, which would considerably lower the spread-transaction cost. 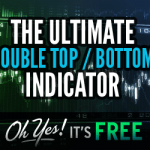 There are MT4 indicator tools out there that can be inserted on a currency chart to easily display the real-time and sometimes historical spreads of that chart’s currency pair. StatMonitor_1.1Phat-.mq4 Displays Spread, Buy/Sell Swap, Volume of chart symbol. FXRM Spread History.ex4 Tracks current spread, max spread and plots spread history. 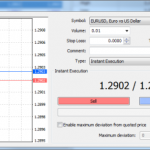 Multi Pair Spread Monitor.mq4 Tracks current spreads of multiple pairs. Display Info All Pairs.ex4 Author: Hanover. Displays valuable information on multiple pairs: Pair Abbreviation [Column1], Bid Price [Column2], Ratio of Day Range to Average Daily Range (also as a %) [Column3-5], Spread ( also as % of ADR) [Column6-7], Pip Value [Column8], Buy Swap Rate[Column9], Sell Swap Rate [Column10]. 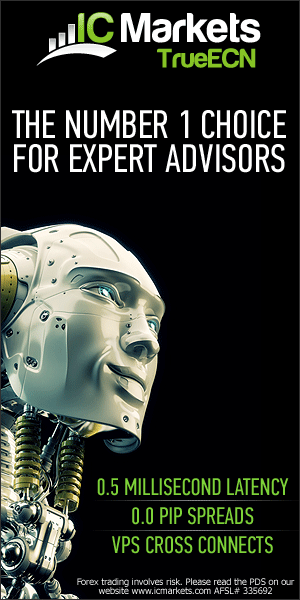 http://www.fxintel.com/live/ 28 brokers. Live spread dashboard. Side tools: a) avg spread last 12 hrs/days for selected brokers; b) best 4 spread brokers. http://www.mt4spreads.com/ 23 brokers. Live spread dashboard. Drill down into pairs: average spread history (nice!). Side tools: find best spread for session or time frame. http://www.mt4i.com/spread/symbol.aspx 21 brokers. Symbols View: Specific pair spread reporting between brokers over last week (min, avg, max — overall and each session). Broker View: Broker View: spread reporting of selected broker for all pairs over last week (min,avg,max — overall and each session). 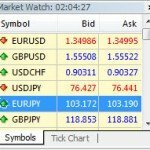 http://www.myfxbook.com/forex-broker-spreads 65+brokers. Live spread dashboard. Drill down analysis into pairs: average spread history (nice! ), along with session averages and changes(nice! ), and brokers with better spreads(nice!). Best: more brokers with deeper and more visually appealing drill down analysis. 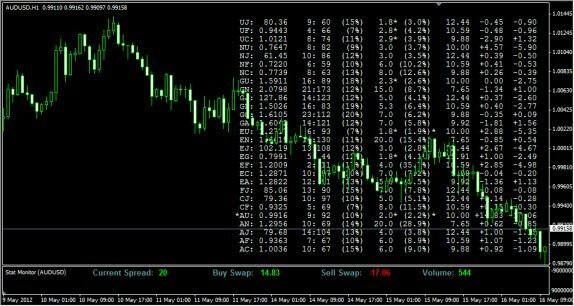 It should be noted that the spread transaction costs of trading Forex can mount up with frequent trading, so if your system calls for frequent trading, you want to make sure it has the ability to overcome these transaction costs. Factoring in spread costs into most seemingly good systems can quickly reveal them to be failures. Fortunately the MT4 backtesting program (called Strategy Tester) already factors out the spread costs (or at least the spread at that moment of backtesting), and this spread factoring feature is an important reason why it is so difficult to create a successful looking MT4 EA in backtesting, let alone in forward testing. 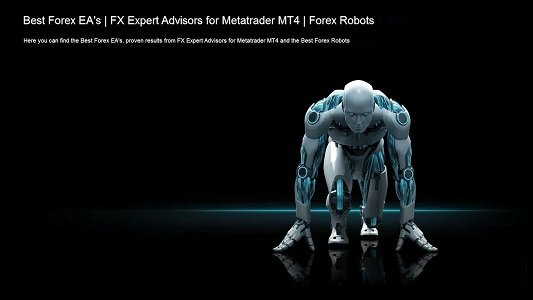 And if your system is a scalping system that depends on the very tight spreads for its performance, it will be a failure if the broker can vary these spreads during those sessions that the scalping system is geared to exploit. Case in point: there had been many Asian scalping EAs created in 2009-2010 on ranging pairs (EURCHF, EURGBP) but most failed when spreads doubled on these two pairs during the session. 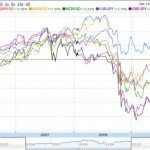 Is It Better To Trade With A Forex Broker With Fixed Or Variable Spreads? There are advantages and drawbacks with both types of brokers. 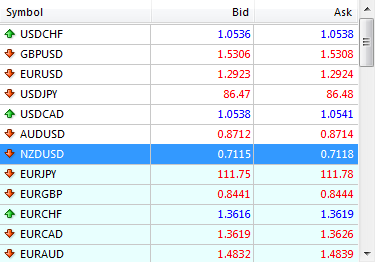 There are dozens of fixed spread brokers out there, and I have seen a few with a fixed spread as low as 1 pip on EUR/USD. The advantage of this setup is obvious: traders feel that they can retain the fixed low spread all the time, even during times of market volatility such as during an high impact news event, where variable spread brokers might increase the spread to offset the volatility risk. Traders may even get the fixed low spread during low liquidity periods such as the Asian session, where variable spread brokers typically increase the spread to offset the liquidity risk. However, some fixed spread brokers will quote wider spreads during quiet periods such as during the Asian session (e.g., if they are 2 pips on EUR/CHF during the day, they are 4 or 5 pips during the night), and also during news announcements. If fixed brokers change the spread during night or news, they will warn about it on their website. Every serious shakeout in the market: news, economic shifts or other global events will immediately cause fixed spreads to expand, unless a broker promises to never widen a spread. If you are interested in fixed spread brokers, check the spread policy before you enter with it. Lately there has been a rising number of variable broker spreads. Variable spreads can be costly. Variable spreads will vary depending on the market volatility and liquidity. Higher volatility — higher spread, lower volatility — lower spread. Under the normal course of the day, the currency pair might have normal volatility and thus spread remains fixed, but when volatility increases volatility increases due to news or geopolitical events the spread can be increased, perhaps going from a 2 pip spread to 4-6 pip spread, or even 20 pip spread if the news event is powerful enough. At the same time: higher liquidity – lower spreads, lower liquidity – higher spreads. The EUR/USD is a good example of a higher liquidity currency that also has lower spreads (sometimes around 1.5 spread), and the EUR/AUD is an example of a currency pair with lower liquidity and higher spread (often around 15 pip spread). Be on guard against the spread bait of “as low as” spread (e.g., GBP/USD spread “as low as” 1 pip) to lure traders into such a bargain. Whilst these “as low as” spreads might be surprisingly low, you will probably never end up trading with these spreads because they will happen for a couple seconds in a 24 hour period. Instead of looking at the “as low as” spread, focus instead on the “typical” spread reading, sometimes posted by the broker themselves. The “typical” spread reading should be good most of the time, but sometimes the definition of typical can be vague. Better yet, try to get an average spread. It is much fairer because it takes into consideration every pip fluctuation throughout the trading day. Few brokers display average spread pricing, so it is a good idea to plot the average spread with the tools and websites posted above. Some brokers, called ECN brokers (Electronic communication network), collects the best price feeds from a few investment banks and attempts to show the very best bid or offer. They charge a commission instead of marking up the raw spread in order to let their clients trade on prices closer to bank’s own price. Thus, the foremost advantage of trading with an ECN broker is the noticeable spread difference. But there is a catch (see note below). Note: With ECN broker one must factor in the spread cost in addition to the commission, though the spread + commission might be lower than what is spread of a typical Market Maker Broker or many Straight Through Processing (STP) Brokers. Moreover, there is a second advantage. Throughout volatile times (or low liquidity periods) an ECN forex broker will try to show the very best price obtainable, instead of marking up a spread to offset risk. The disadvantage with ECN brokers is that you can be deceived into a thinking that you have a low transaction cost when in fact you might have the same or higher than other brokers. Since we have all been trained to look at the spread, we may be tempted to go with the ECN broker with the lowest spread. However, the commission cost added to each trade can make an ECN broker much less attractive than some of the more competitive STP Brokers that have low spread without commission. 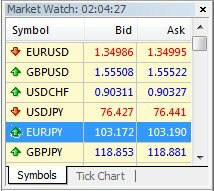 For instance, you might see that an ECN broker has a spread of 1 on EUR/USD, but when it also adds a commission of $1 per 10,000 lot, then you are in effect trading with a broker that has a 2 pip transaction cost. It is thus imperative if you are searching for a good ECN broker to investigate both the average spread and the commission cost, and add them up. 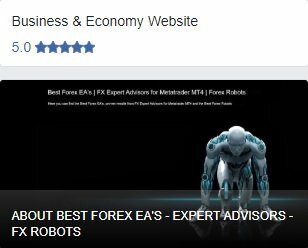 Sometimes the search can pay off: there are some good ECN brokers out there that do in fact have the best transaction costs (spread + commission) in the forex business.